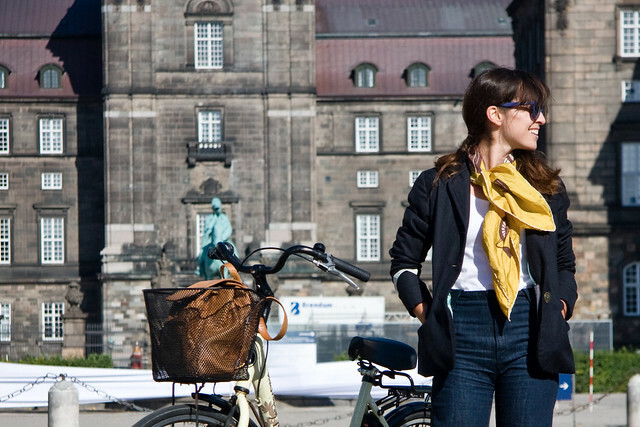 Eva, our partner in crime from Cycle Chic Sundays and blogger at Eva-lu.com, is in Copenhagen at the moment. After lunch and on our way to a coffee, we decided to stop for a little Cycle Chic photo shoot. 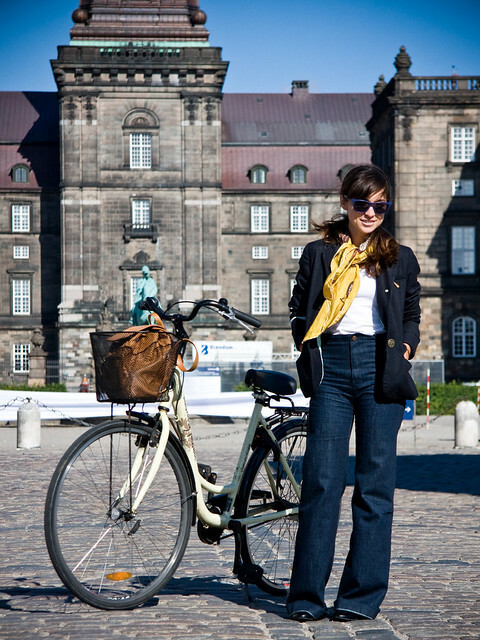 Outside the Danish parliament buildings it was Cycle Chictastique. Huntington Beach meets Copenhagen. Match made in heaven. You look lovely! Work it girl! Loving the style of this cruiser ... what type is it? It's a hella tight bike, meli. actually, not. it's a generic brand available at all larger supermarkets. Ahhh, the magic of photography never ceases to amaze.